LOUISVILLE, Ky. (April 1, 2019) – In Louisville, April has become known as Mint Julep Month® as the classic Bourbon cocktail of the Kentucky Derby season is celebrated for 30 straight days of special events and promotions throughout the city. 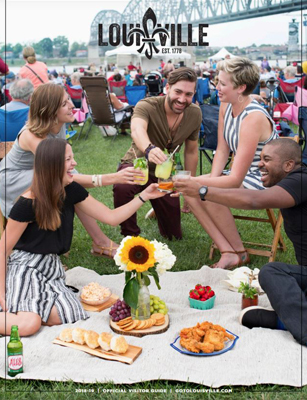 Louisville Tourism debuted Mint Julep Month® in 2013 as a way to draw attention to the city in the spring and to create excitement around the Kentucky Derby season. For the seventh straight year, Mint Julep Month® will be celebrated beginning on April 1. Louisville Muhammad Ali International Airport will feature a wall of greenery constructed entirely of more than 800 fresh mint plants (8-foot tall, 10-feet wide and designed by local florist Jaclyn Journey) that will be on display in the airport’s airside rotunda (near Starbucks where concourses A & B converge).The Instagram-worthy wall debuts on April 1 and will remain up through Derby weekend. Businesses across the city, including many of the 44 stops on Louisville’s Urban Bourbon Trail®, will offer Mint Julep drink and culinary specials. Local retail shops will also feature Mint Julep-themed products. 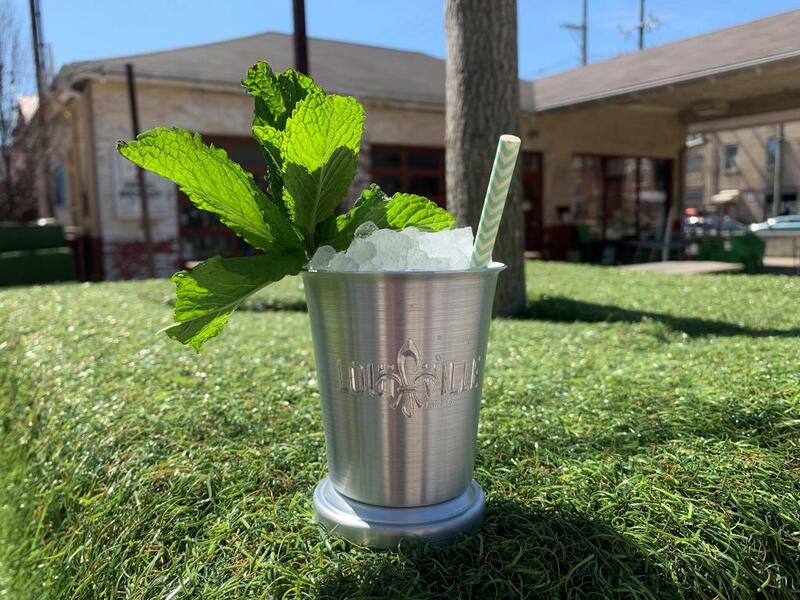 The public can participate in the festivities and receive an engraved Louisville Mint Julep cup by snapping a photo of themselves with any Mint Julep and posting it on social media using the #MintJulepMonth hashtag. Show your photo to the team at the Louisville Visitor Center (301 S. Fourth St.) to claim your complimentary commemorative julep cup. (Must be 21+ older to participate. One cup per person. While supplies last). The Louisville Bats – the AAA minor league baseball affiliate of the Cincinnati Reds – are rebranding as the Derby City Mint Juleps for two home games on April 13 and 27 at Louisville Slugger Field. The team will wear custom Mint Julep caps and jerseys. Mint Juleps served in commemorative cups will be sold at both games. Derby City Mint Juleps merchandise is also available for sale at DerbyCityMintJuleps.com. Take a selfie at the Mint Julep mural in downtown Louisville, located on the Quills Coffee Firehouse. In addition to the Louisville-born festivities, for the second straight year, Bourbon Country® is partnering with Garden & Gun and Maker’s Mark® for a month-long, nationwide promotion. Hundreds of bars and restaurants across the country will toast Mint Julep Month® by serving custom Mint Julep cocktails throughout the month counting down to Derby’s 145th year. Several special events will be underway across the U.S., including in New York City, Charleston and Austin. The campaign also encourages participants to drink for the good of the planet, by ditching single-use plastic straws and additionally supporting clean water initiatives. Locally, Urban Bourbon Trail® stops will be serving Mint Juleps with mint-colored biodegradable straws. More information, including a comprehensive list of local Mint Julep Month® specials and events, can be found at GoToLouisville.com/MJM. For details on national events, visit MintJulepMonth.com.